This excellent TIME.com article about Dr Gabor Mate's work with addicts will make anyone with an interest in addiction want to read more. If you're wondering: Does addiction anything to do with me? see quotes below. Hi Empathic Folks! I just realised that I can post a link to this comprehensive Empathy News page right here! SImply click the link below to get a good feed of a good percentage of the empathy news around the internet. Edwin Rutsch of the Centre for the Culture of Empathy (who I am meeting with in an Empathy Circle every week) is integrating these design approaches into our development of the Empathy Circles and Empathy Workshop. Is this one minute video an empathy masterpiece? Tell us how you see it! Seen by some as a supreme example of languaging for empathy....... other are less moved. "This is a wonderful, thought-provoking, one minute clip. Full of wisdom. . . . and very brief. Add your thoughts about building a Global Empathy Movement! How can we build an empathy movement? What ideas do you have? Contribute to the Culture of Empathy project. I've been very impressed recently by Dr Dan Siegel's work, on many levels. I've been particularly fascinated by the similarities which he spotted between the effect on the pre-frontal cortex of the brain of secure attachment and of mindfulness practices. Absolutely fascinating. 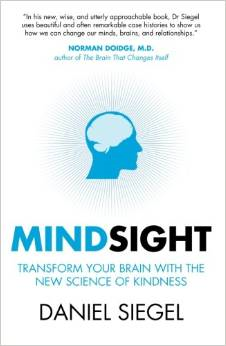 I highly recommend reading his book Mindsight - very illuminating about the nature of the pre-frontal cortex, which is the neurological centre of empathy. Huffington Post discussing the Empathic Civilisation this month Join in! Jeremy Rifkin is part of the discussion! Parents' experiences of Heart to Heart Parenting - see latest courses in Events! Dr Greene Video: "Kids Do Well if They Can"
Read this moving story about hearts connecting across the divide between Israel and Palestine. This is the video which gives the main messages of Robin Grille's seminal book Parenting for a Peaceful World. It's no substitute for reading the book though! If this interests you do look at the book itself. See reviews in this blog by searching on Robin Grille. The Children's Academy for The Collective Heart in Katikamu, Uganda. Read this blog about empathy!